J.P. is From the Top’s 2017 #Note4Note Composer! Check out the project. In 2015, J.P. received the ASCAP Gould Young Composer Award! J.P. Redmond performed on Show 274, recorded in June 2013, at age 13. 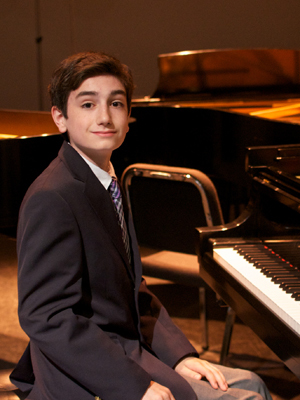 J.P. Redmond (composer), 12, is from Hastings-on-Hudson, New York. He studies music at the Concordia Conservatory of Music and Art in Bronxville, New York, with George Francois. He comes from a musical family and began taking piano lessons when he was seven years old. John plays in both spring and fall chamber music groups at Concordia College. John has a passion for outdoor activities such as biking and hiking. J.P. is a Jack Kent Cooke Young Artist.